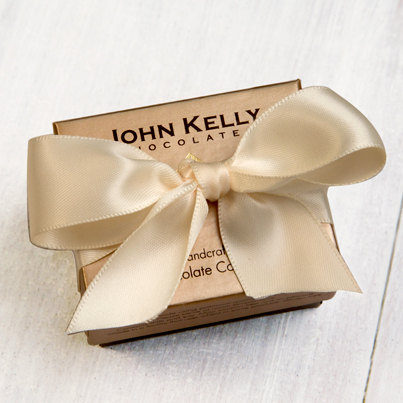 Single piece of truffle fudge in a white satin gift box, available in most flavors, with hand-tied ribbon. Ideal for weddings, bar/bat mitzvahs, engagement parties, christenings. For volume discounts or if you need a custom-printed ribbon, please contact us for details. 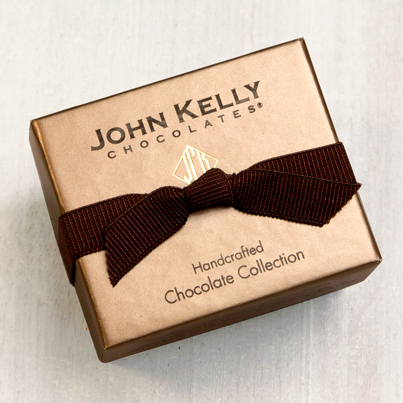 A rich, luxurious artisan caramel is layered atop our classic semi-sweet truffle fudge, creating an incredible melt-in-your-mouth experience, infused with deep, brown sugar top-notes. The generous amount of walnuts and semi-sweet chocolate coating on our Caramel Truffle Fudge add an interesting texture to this decidedly decadent indulgence. Delightfully aromatic, a burst of peppermint flavor mingles with our classic truffle fudge and contrasting semi-sweet chocolate coating to create a bright, refreshing taste that mint lovers will adore. After dinner, before dinner or in between, it is bound to lift your spirits and delight your palate. 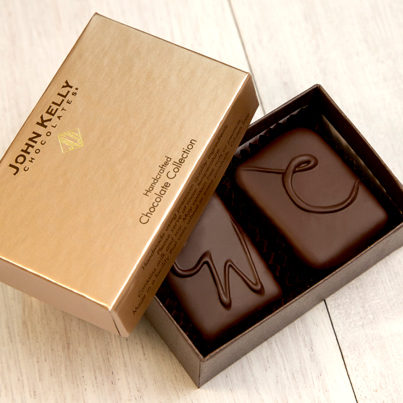 A touch of the exotic is captured in this velvety, white chocolate fudge, enveloped in a semi-sweet chocolate shell. It is a luxurious blend of rich white chocolate that is not too sweet, and fragrant, all-natural vanilla extract. 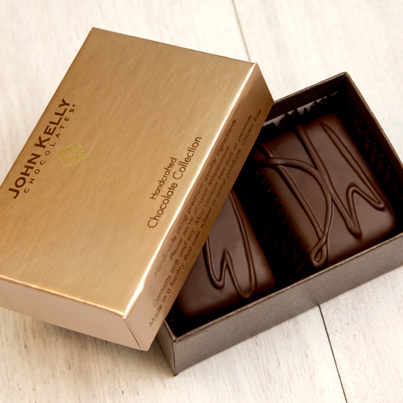 A sensuous chocolate experience. Many people consider the smoky flavor of chipotle a contemporary classic. The infusion of a mild heat that warms the back of the palate, balanced with the sweetness of ancho chile, is a unique and delicious pairing. Both are blended into our signature dark chocolate truffle fudge. Spicy chocolate is quite popular, but our version of intense habanero heat combined with spicy jalapeño is not like anything you’ve ever tried. When it’s blended with dark chocolate truffle fudge, the result is a delayed reaction of heat that literally bursts with flavor, taking chocolate to places it’s never been.